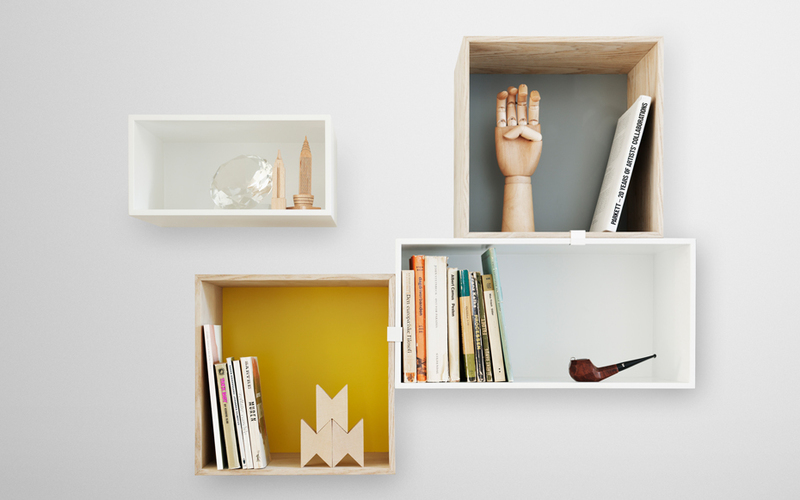 Mini Stacked is a wall mounted shelf. 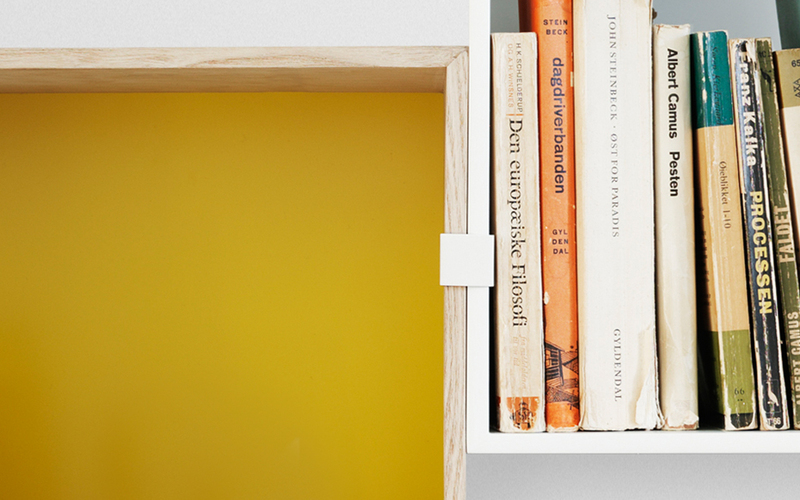 As its free standing brother, it allows to organically compose a custom shelving. 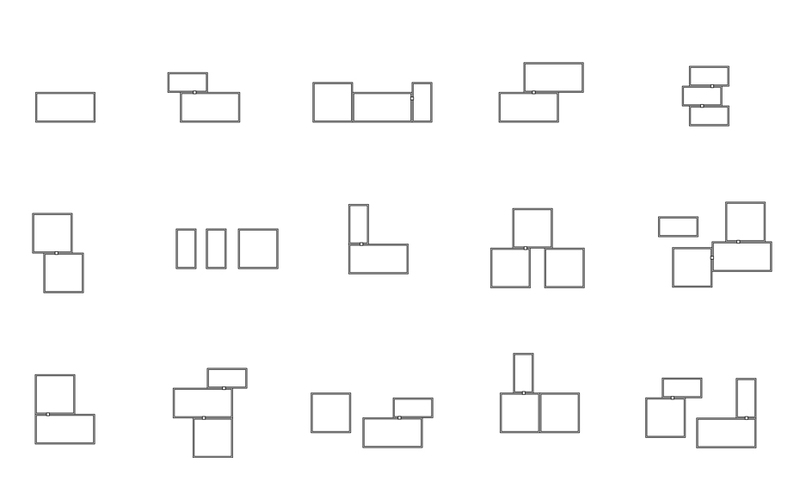 Alongside a clip, allowing to add one or two cubes that are not being attached to the wall and thereby more free to change position. Mini Stacked is modest shelving to show your great things. 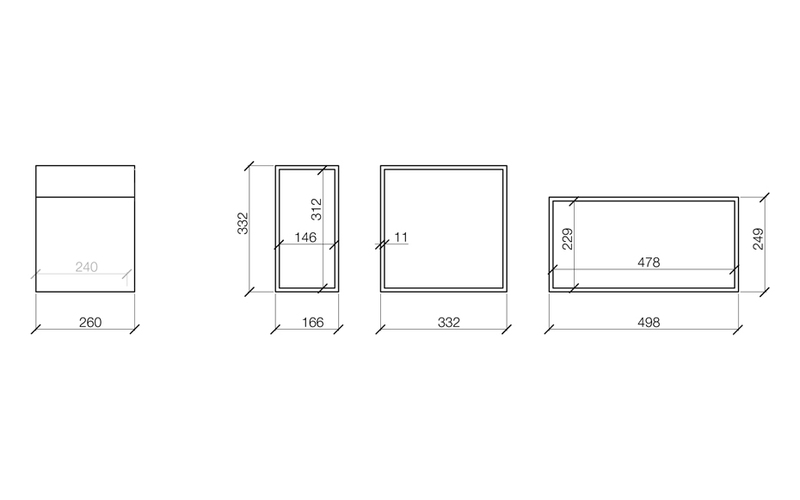 Mini Stacked is dimensioned for being the shelf for things you want storage for and at the same time being seen. You actually want to show your beautiful pepper mill and not lock it up in a closet. You want your special coffee container being exposed or give your kid’s clay figure a present place and have your favourite cooking book closeby.